THE POPE SAID WHAT, HEY FRANCIS … STICK TO RELIGION AND MIND YOUR OWN BUSINESS? It would appear that now Donald Trump and the Pope are now in a war of words, but this time it was not of Trump’s doing. Pope Francis said Thursday that Donald Trump was “not Christian” if he wants to address illegal immigration by building a wall. Really Your Holiness, you mean the Vatican does not have walls around it that keep people out? Really? Whats the difference? Why don’t we just let all the illegals go to the Vatican? A note to the Pope, you might want to stay out of the sovereign affairs of other countries. Remember when the Pope said, “who am I to judge?” You do remember that, right Pope Francis? Maybe you might want to follow your own words for all and not just some. Thrusting himself into the heated American presidential campaign, Pope Francis declared Thursday that Donald Trump is “not Christian” if he wants to address illegal immigration only by building a wall along the U.S.-Mexico border. Trump fired back ferociously, saying it was “disgraceful” for a religious leader to question a person’s faith. 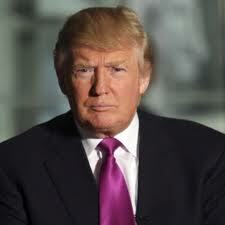 Donald Trump fired back at Pope Francis questioning why a religious leader would question an individuals faith. I have been highly critical of Donald Trump and his all too often disrespectful name calling and his lack of focusing on the bigger picture than getting to often bogged down in the weeds, but I am with Trump on this one. What the hell was the Pontiff thinking? This is a Pope that has embraced socialist and leaders like the Castro brothers but has the nerve to call Trump anti-Christian. WTH!!! In the end, the Pope probably just gave Trump more votes heading into this weekends South Carolina primary and Nevada caucus. How often is it that you get into a dust up with the Pope and win? Trump probably just did. Trump eased off later Thursday, saying he thought the pope’s comments were “probably a little bit nicer” than first reported. 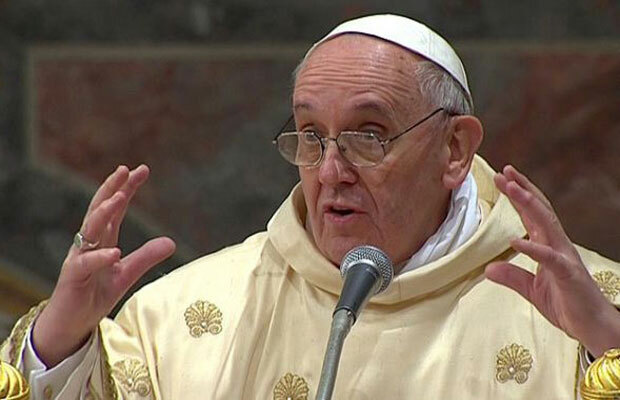 The American Thinker makes some very important points and advice for the Pope in evaluating the comments made and how and why he would make such foolish ones. I have to say, I second the American Thinker on every point. First, El Papa should stay away from presidential elections, here, there, and everywhere. Second, the Vatican is one gigantic place surrounded by walls. Third, is a border now un-Christian? How did we get to the point that defending borders and promoting legal immigration is now inhumane? Fourth, El Papa has given Mr. Trump a huge gift. I am not a Trump supporter, but I believe that the U.S. has every right to protect and defend its borders. I don’t know whether building a wall from Laredo to San Diego is the best answer. However, it may work in some isolated regions currently used by cartels to bring drugs and people. Last, but not least, El Papa just visited Cuba. He hugged and embraced Raúl Castro, a man who has executed priests, harassed religious leaders, and closed Christian schools years ago. Did he call the Castro brothers un-Christian? Pope Francis is a good man, but he needs a few people around him to protect him from himself. As reported at Reuters, Italian security forces have arrested 18 radical Islamic extremists Friday who prosecutors said were behind a failed 2010 plot to attack the Vatican as well as a bombing at a Pakistan market that killed more than 100 a year earlier. Prosecutor Mauro Mura stated in Cagliari, Sardinia that wiretaps indicated the suspected terrorists, including two former bodyguards for Usama bin Laden, planned a bomb attack at the Vatican and went as far as to send a suicide bomber to Rome. Italian police were arresting 18 people on Friday suspected of belonging to an armed group linked to al Qaeda who were plotting attacks on the Vatican as well as in Pakistan and Afghanistan. Though the suspects were plotting attacks mainly in their native countries, phone taps suggest the Vatican was also a target, said Mauro Mura, chief prosecutor of the Sardinian city of Cagliari, where the group based its headquarters. In the tapped conversations, the suspects discuss “a big jihad in Italy,” added Mario Carta, head of the police unit on the case. They reference the word “baba”, which could mean the pope, Carta said. “We don’t have proof, we have strong suspicion,” that the Holy See was a possible target, he added. Raids were carried out simultaneously in seven different Italian provinces with arrest warrants for 18 suspected Islamic extremists following a lengthy investigation in Cagliari, capital of the Italian island Sardinia. Authorities uncovered plans for a suicide bomber plot against the Vatican in 2010, when Pope Benedict XVI was pontiff. Evidence includes a “martyr’s vow” from a would-be suicide bomber threatening to strike against the Vatican, the spiritual focal point for the world’s 1.2 billion Catholics. Mario Carta, an official from the counter-terror police force that carried out the raids, called it “one of the most important operations ever carried out in Italy.” Police said the operation targeted an “extremely well-structured terror network” based in Sardinia since at least 2005 that was made up of Pakistani and Afghan nationals. Nine people have been arrested, and two are still at large in Italy. Seven of the suspects are believed to be in Pakistan, Carta said.